An Announcement and a request for help. 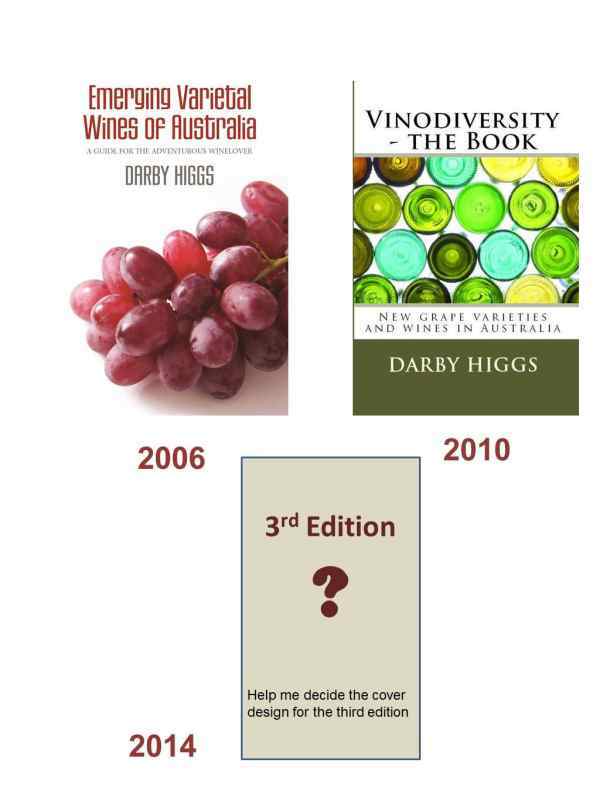 I am publishing the third edition of my book that started life back in 2006 as Emerging Varietal Wines of Australia. The book will revised information and lots more varieties and producers will be listed as the alternative varieties band waggon keeps rolling on. The new edition will have a couple of new features that will mean it is better as well as bigger. I will also be publishing in electronic format on several platforms. Those who know me that among my shortcomings is a lack of visual creativity so I am hiring a company to do a cover design. So I thought I'd ask my loyal readers to help me choose. So please follow the link below and leave a comment or two. Don't spend too much time on it - I just want to get some quick reactions to guide my choice. https://www.facebook.com/pages/Vinodiversity-the-Book/109665512394403 "Like" the page to see updates in your timeline. In any case I'll certainly let you know when Emerging Varietal Wines of Australia 3rd edition becomes available. But hurry, I need to finalise sponsorships very soon. You may wish to support Vinodiversity by buying some wine from the excellent collection from my alternative wine merchant partners at http://bit.ly/DDWINES The have some beautiful Alternative varietal wines at fair prices and very reasonable freight. Pass it on. If you have a friend who might like this newsletter you can just forward it to them. But don't spam please.